Seven years after the beginning of the financial crisis, the economic situation in the euro area is still weak, unemployment is high and inflation rates are falling with an increasing risk of deflation. A comparison of the euro area after 2007 with Japan and the United States shows that the sources of the crises have been dissimilar but the crises have all been channelled through the banking system. Low profitability and slow restructuring of banks make the euro area more comparable with Japan than with the United States where the banking system was quickly restructured. Macroeconomic policies in the euro area were initially less supportive than in the United States. The decentralised organisation of the euro area made a resolution of the crisis much more difficult. Deflation is now one of the most significant risks for the euro area. 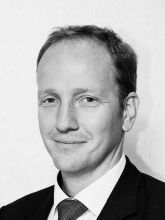 Guntram Wolff is the Director of Bruegel since June 2013. His research focuses on the European economy and governance, on fiscal and monetary policy and global finance. He regularily testifies to the European Finance Ministers' ECOFIN meeting, the European Parliament, the German Parliament (Bundestag) and the French Parliament (Assemblée Nationale) and is a member of the French prime minister's Conseil d'Analyse Economique.